3XN has won the competition to build Denmark’s new international climate center, the Climatorium, in the Danish city of Lemvig. 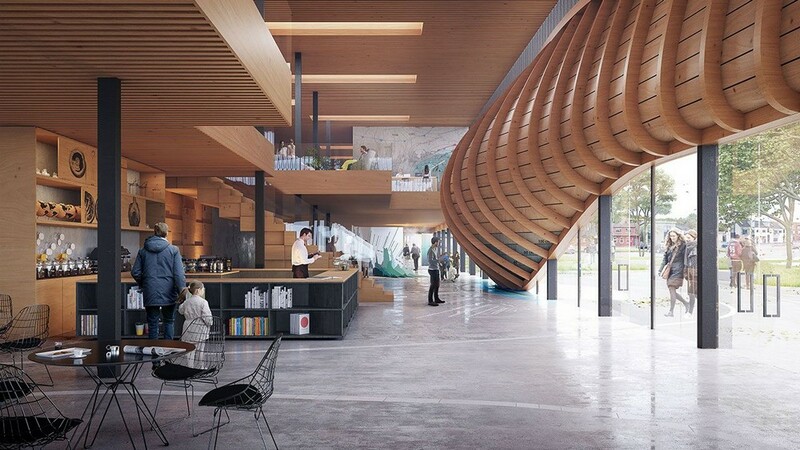 As a forum for knowledge, education, innovation and development projects, the building will support Denmark’s role as an exporter of climate solutions and help establish Lemvig and the Central Denmark Region as a center of climate change adaptation. 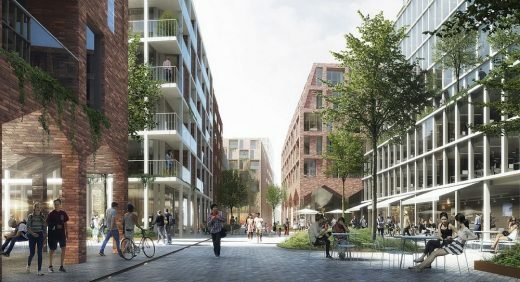 The project, developed for Lemvig City Council and Lemvig Utility, answers to local and regional challenges related to urbanization and climate change. The establishment of a strong information center will attract specialists and companies to the area, in order to promote economic growth and job creation. The project is a collaboration with urban development consultancy SLA and technical advisory services company Orbicon. 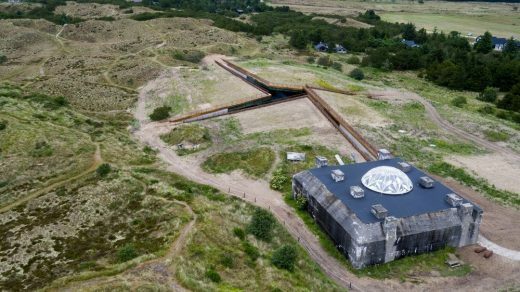 The Climatorium aims to attract both local residents and tourists as a place to view exhibitions and learn about climate change issues. The lower floor can be used for exhibitions, conferences, concerts and events, and has the potential to become a new local meeting place, as it also includes a café and space for just hanging out. 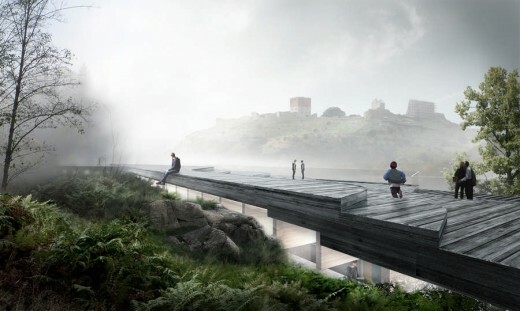 “We have aimed to create a building that tells a story about climate. The building has a rectilinear, stringent expression but forms a wave shape that lends a distinct and easily understood identity. 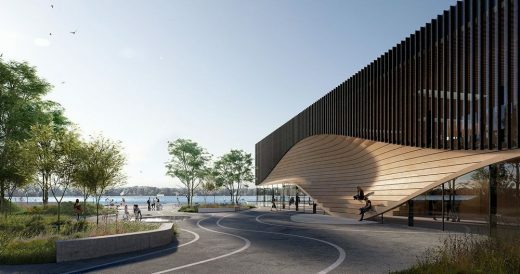 The wave tells the story of the site and also refers to the serious challenges we face as a result of climate change,” says Jan Ammundsen, Senior Partner and Head of Design at 3XN. 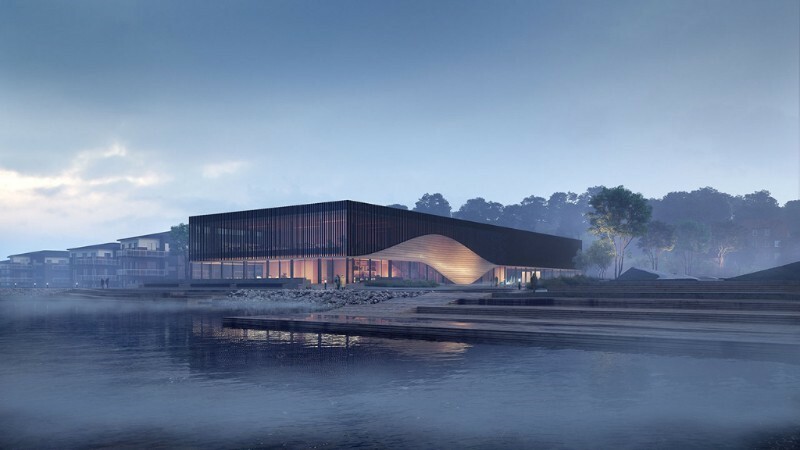 The new Climatorium will be an iconic structure in Lemvig. The wave design shapes the entrance, creating an inviting space sheltered from the elements. The building is a relatively simple two-story structure with an open glass facade on the ground floor that makes the wood-clad upper floor appear to float in the air. The height and placement of the building are carefully designed with respect to the existing buildings on the harbor front. 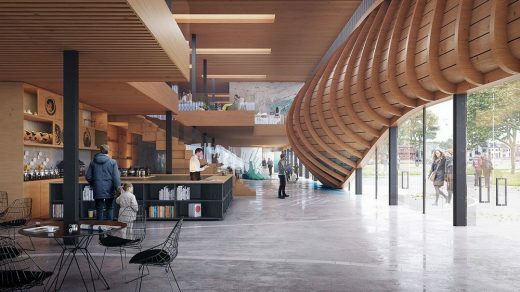 The entrance is a wavy organic pocket built from light-toned wood, which forms a striking landmark as seen from both outside the building and from within. The motif celebrates the area’s cultural history and local building tradition, drawing inspiration from Lemvig’s characteristic fishing boats. The material selection is inspired by the nearby boat halls and creates a raw, rustic environment with wood, concrete and steel that resonates with the local environment. The ground-floor glass facade is transparent and inviting, allowing passers-by to follow the activities inside and be encouraged to explore. The undulating landscape around the building is called the Climate Wedge. The landscape is structured along meteorological isobar lines representing prevailing wind conditions in Lemvig – which sometimes lead to flooding. This design interacts with the soft lines of the nearby skate park and forms an intuitive route through the landscape. The Climate Wedge will create pleasant, sheltered spaces for recreational use. The vegetation is based exclusively on local plants that thrive in the coastal environment and require a minimum of care. The Climate Wedge will serve as both an outdoor space for professional users of the Climatorium to conducts experiments, and as a new urban space for visitors of the harbor front. 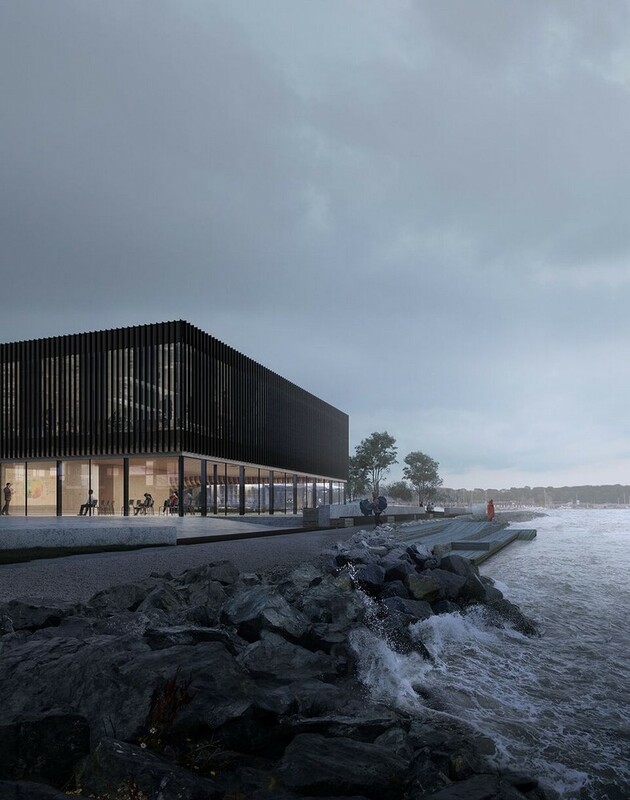 The Climatorium will become a signature building that reflects local traditions and adds a contemporary element to Lemvig Harbor. The building is scheduled to be completed by 2020.